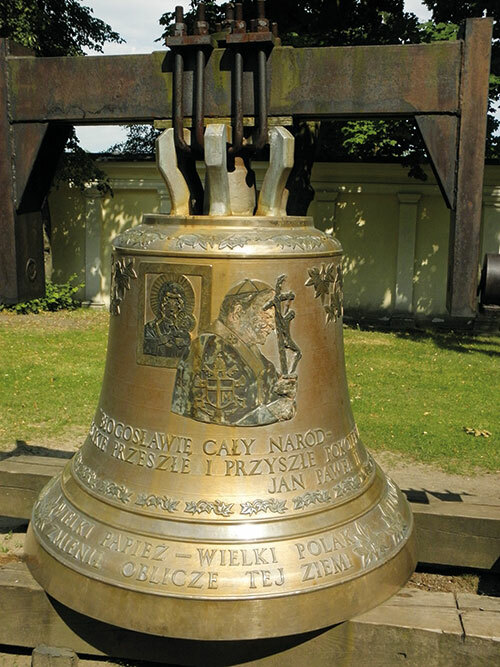 Here’s a twist to the Polish joke: how many Poles does it take to build a city that was razed to the ground in 1944? With less than 10 per cent of its inhabitants left alive! Hitler had obliterated Warsaw off Europe’s map. And yet here I am, 72 years later, in a city with areas that look as if they were preserved from the 18th century (the old town especially), European charm intact. So although the historical centre may look picture-postcard perfect, many facades of walls and ornate flourishes read ‘1954’, the year that the reconstruction started. The townspeople had two choices: rebuild on modern lines or recreate the Warsaw that was once the envy of many European cities. With the help of old paintings, sketches and plans, Warsaw has been rebuilt with eerie accuracy by its citizens and leaders. Many buildings look very Russian but that’s because Russia moved in to occupy the city as soon as the Germans were thrown out. Since the falling of the Iron Curtain, the entire city observes two minutes of silence every August, signalled by the blaring of sirens. People lay wreaths on memorials or simply light candles. And then go out and celebrate the rebirth of their beloved city. Today’s Warsaw is a trendy destination, pulsating with nightlife and I saw a lot of it, thanks to my friend Nicolas Lepage. I went to Warsaw primarily to visit Nicolas, Consulate General of Canada, posted there after his Mumbai tenure. What better way to explore a new land than from a friend’s home, which turned out to be a five-bedroom, three-storeyed mansion in a très chic area. Memory had summoned up one of my childhood heroes Lech Walesa and other prominent Polish people like Frédéric Chopin (1810-’49), Pope John Paul II (1920-2005), plus the only lady in history who has won two Nobel Prizes — in physics and in chemistry — Marie Sklodowska Curie! Just like with many of you, Roman Polanski’s 2002 film The Pianist still resonates strongly and I was curious to see a city that was decimated in body but not in spirit. To find the key to Warsaw’s character, Nicolas’ lady love Angelika recommended that I start with the Warsaw Rising Museum. This remarkable museum jolted me with its stark reminders of the epic-scale destruction that took place during and just after World War II. It took me just under a minute to travel back to 1944, when an oppressed population struggled valiantly against its Nazi occupiers. It was the world’s largest rebellion ever, resulting in a massive loss of life. But not of human determination. The multimedia exhibition spread over several floors plunged me into a nightmarish interactive journey through those terrible times. In a 3D aerial film, I saw the bombardment and total wipeout of the city. Walls covered with posters and newspapers encouraged people to prevail over their opponents through the never-ending 63 days of fighting. Finally, I climbed up to the top of the museum tower for a panoramic view. In the distance stands the memorial wall, which lists the names of over 10,000 people slain in the battle. Impressive…and very touching! 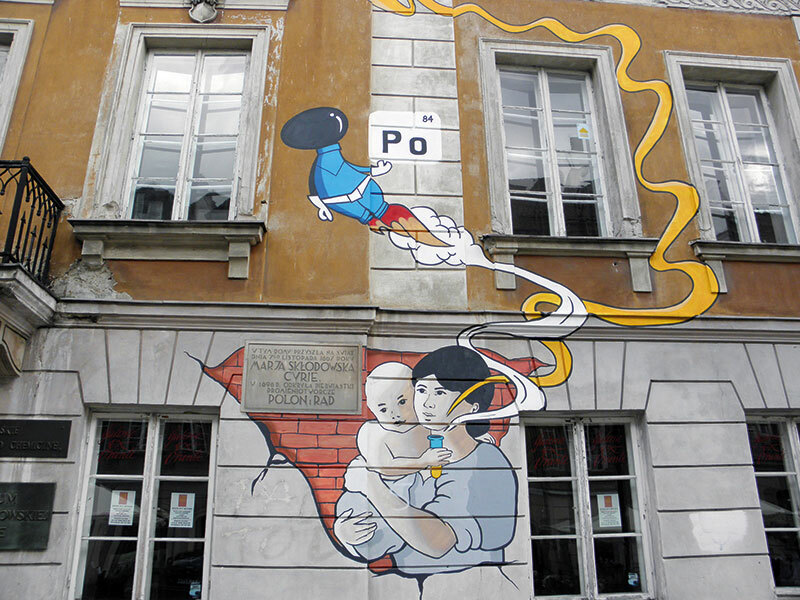 Once I had seen this history of destruction, every touristic site in Warsaw made not just sense but also induced a feeling of sheer admiration as to how this city had literally risen from the ashes like the proverbial phoenix. Not only has it been reborn, but life is celebrated every day with understandable determination. I marvelled at the Royal Castle, the headquarters of the kings of Rzeczpospolita (yes, Polish is a tongue-twisting language!) — the Republic of Poland since the 16th century. 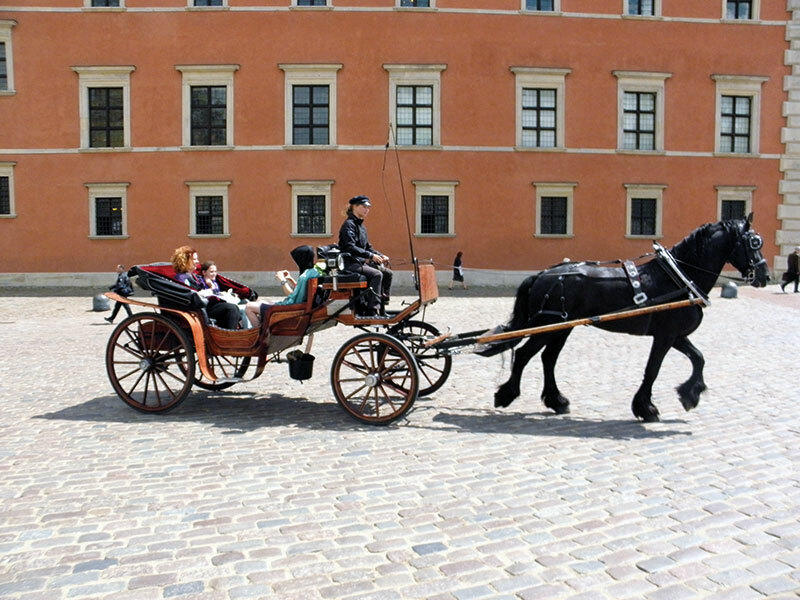 It’s also the place where the Constitution of May 3, 1791 — the first in Europe and the second in the world — was adopted. During World War II, the castle was almost completely destroyed and later restored using bits and pieces that survived. I entered with sincere reverence and admired Rembrandt’s original paintings on display. Also on view are Venetian Master Canaletto’s landscapes (luckily hidden safely during the war) of 18th-century Warsaw that proved invaluable during the reconstruction. Emerging from the castle, to the left, is the vast, open Zamkowy square dominated by the King Zygmunt III Waza Column, Warsaw’s tallest secular monument erected in 1644. It’s tempting to try but you can’t climb it! Although 90 per cent was destroyed during World War II, Stare Miasto (or ‘old town’) has been restored so faithfully that in 1980, UNESCO listed it as one of the World Heritage sites. I walked through this area three days in a row and could hardly believe that it’s all newly built. Originally founded in the 13th century as a prince’s headquarters and a fortified settlement, Stare Miasto is a charming melange of cosy cafes and restaurants. 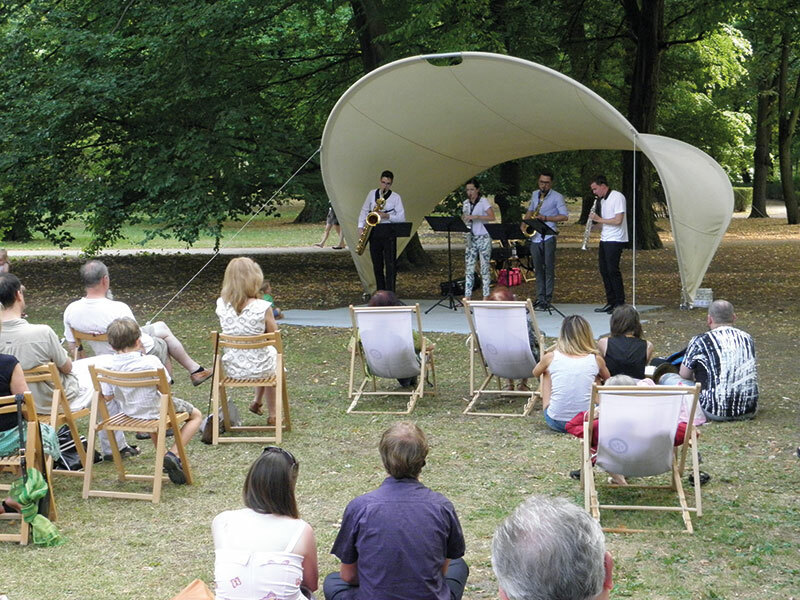 Artists exhibit their works in the open air while in the summer, music wafts everywhere with jazz, pop and classical concerts. Inside the old town, this Renaissance square is buzzing with al fresco restaurants, and I was surprised to see a mermaid statue slam in the middle. Bigger than the one in Copenhagen, this mermaid, armed with sword and shield, has been the city’s protector, according to legend. Amazingly it survived the bombardment and destruction. From here, small lanes lead to hidden courtyards and gardens. I walked to the edge of the cliff to view the right bank over the Vistula river. It is rare to find a European capital with a wild river running through it, and when the weather is right, teenagers make the most of this undeveloped eastern bank. Sunbathers gather, crates of beer arrive, fires are lit, and at night free-flowing vodka helps spontaneous dancing till dawn. The warmer season turns the residents into a happy and boisterous crowd once the sun comes out and the days get longer. In June and July, this brings open areas to life with sports, children’s games and picnics. As city parks go, Lazienki is a gem. Warsavians are rightfully proud of their very own ‘green lung’, a harmonious setting for free concerts. I was lucky enough to catch Sebastian Krajewski performing Chopin’s popular works along with at least 10,000 local residents sitting al fresco in the amphitheatre! 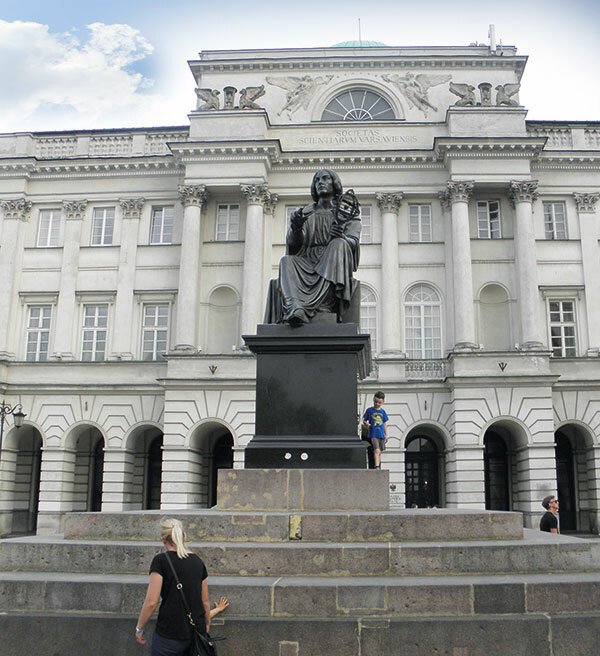 Lazienki has everything you would expect from a city park including a superb central lake with its own Palace on the Water and stately residences. Tout le monde has heard of pierogi, the first item on many a menu. Translated as filled dumplings or ravioli, they are crescent-shaped parcels with tasty fillings. The Zapiecek chain has seven eponymous restaurants across the city, with my favourite one located in the vaulted passages of Świętojańska. Here, saucy country maids serve 50 types of pierogi! I had a long and leisurely lunch in the 150-year-old Belvedere located inside Lazienki Park and set in an imperial-age, glass orangery. Festooned with intricate latticework and botanical exotica, high society dines here while watching peacocks strut in rose gardens. 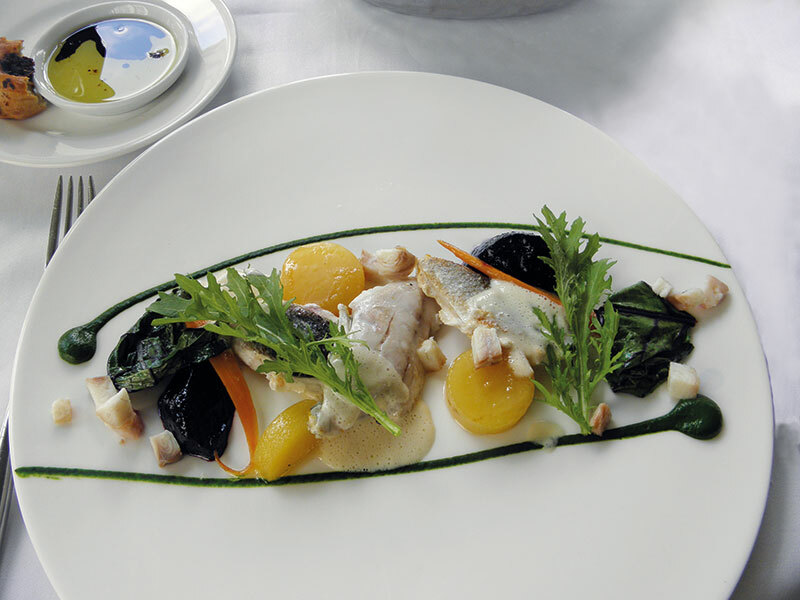 Since 2007 it has a Michelin star, which it retains annually by changing its menu of seasonal, local produce. Smoked eel with quince and white poppy seeds, beef tartare with toasted bread and pickles, monkfish with sunflower seeds and pickled cucumber, lobster with quince and pear and veal tenderloin with nuts and buckwheat are some of the highlights. Another training ground for Michelin stars is the Amber Room at The Sobański Palace, a truly majestic villa. In spite of its classic interiors, the food is really cutting edge. We partook of the degustation menu which included: duck ravioli, caramelised onions, parsley emulsion; tuna fillet, sweet potato and vanilla puree; chioggia beetroot, coriander; lamb ragout, spinach, polenta chanterelles, thyme risotto with seasonal mushrooms; and desserts of tarte Tatin with apples, chocolate sauce and roasted butter ice cream as well as plum crumble and ice cream. Finished off with a sublime 2009 Istvan Szepsy Tokaji Szamorodni, Hungary. 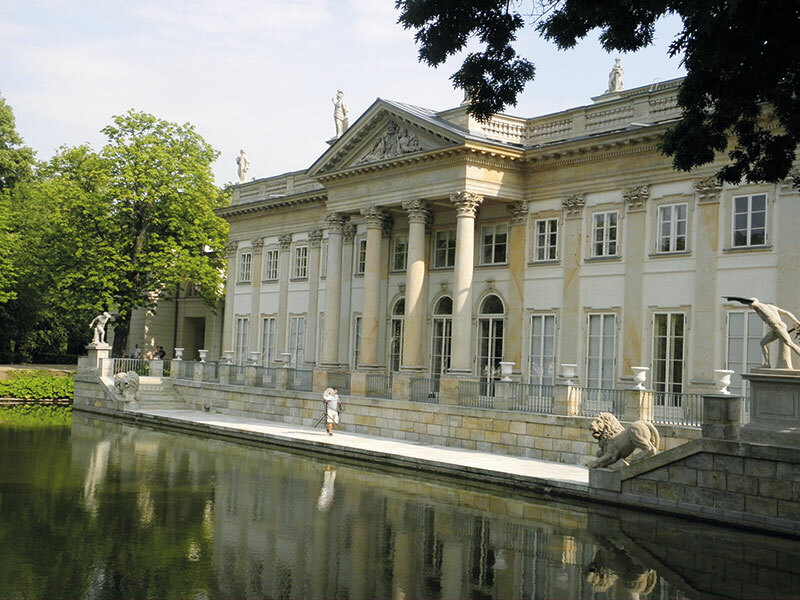 Warsaw’s very own Palace of Versailles is quite jaw-droppingly gorgeous! Destiny dictated this sprawling building remain virtually undamaged after World War II and it is a glorious reminder of Poland’s regal history. 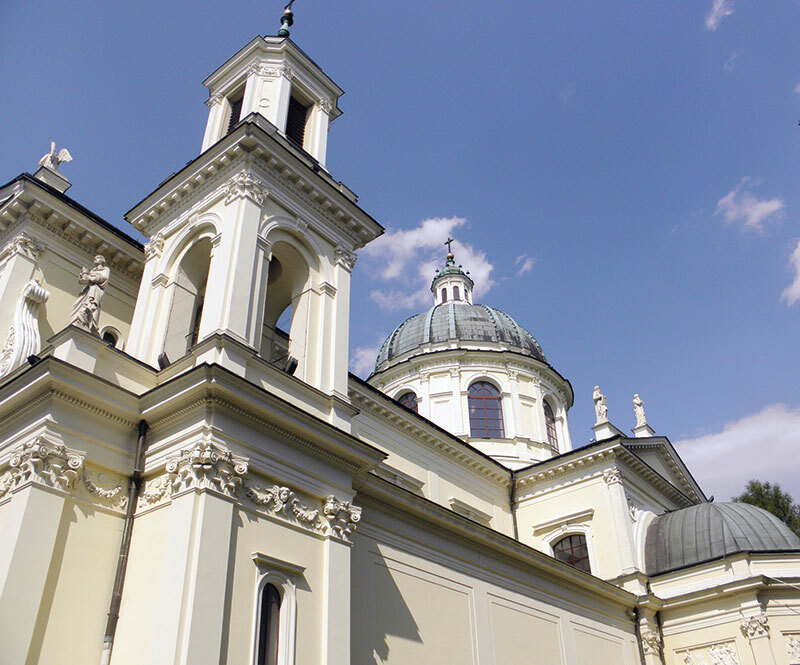 Highlighting both Polish and European architectural styles, it was built for one of Poland’s most famous leaders, King Jan Sobieski III. Over the decades, different owners imparted different influences and tastes, which makes a look around the interior a must. The French-designed lawns and gardens, with the river running through, offer a peaceful wander before you check out the poster museum, the biggest of its kind in the world. One may expect rivers of vodka to flow in a country known to produce a trillion types of this spirit. In fact, the name ‘vodka’ is a diminutive form of the Slavic word voda (water)! And Warsaw’s buzzing nightlife certainly revolves around it. If you want to dress up and party, head to the areas around Nowy Swiat, or Trzech Krzyzy and Jozefa Pilsudskiego squares. If you left your best dress at home, head for the boho Praga district, with its up-and-coming art scene and lively afterhours. If you are looking for something a tad different, try Warszawa Powisle where you can mix vodka and culture in this hip restored modernist railway ticket office. If you want to sample something more decadent, Warsaw’s nightclubs are up there with the best of them. Don’t miss the likes of cultish Klub Balsam or Klubo Kawiarnia for full-on fun. Still not sleepy? Try Eve, the city’s official after-party venue and the hedonist’s dream come true.